Now this one’s going to be a surprise. 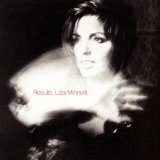 Unusually for a Closet Classic, it charted fairly high on its release (six in the UK) and was certified gold but “Results” is one of those albums that seems to have been unfairly dismissed as a product of its time. To many people it seemed like a bit of a strange combination; Neil Tennant and Chris Lowe were at the peak of their popularity and Liza Minnelli (who had recorded a few albums) was much better known as a nightclub and Broadway singer and the actress who gave a stunning performance as Sally Bowles in John Kander and Fred Ebb’s “Cabaret”, adapted from Christopher Isherwood’s short novel, “Goodbye to Berlin”. So far, so good. The album’s lead single, “Losing my Mind”, was being played to death on the radio and that, as well as a recommendation from a musician friend who was a huge Pet Shop Boys fan made me go out and buy the album. It’s no exaggeration to say that I played it solidly in the car and at work (the advantages of working in a music bar) for a month and I can still quite happily listen to it from start to finish now. So what’s so special apart from the fact that it’s Liza Minnelli and the Pet Shop Boys? The album opens in the way you might expect with an uptempo Tennant-Lowe song, “I Want You Now” followed by “Losing my Mind”, a Stephen Sondheim song from the musical “Follies”. You can’t accuse the team of sticking to the original arrangement too closely; it’s a 119bpm monster with Fairlights on steroids and Liza Minnelli belting out the vocal. The original is wistfully obsessive, but Liza sounds like she’s delighted to be losing her mind; bring it on and double helpings please. The following three songs are Tennant-Lowe originals, but that’s about the only common factor. It’s a tough call, but “If There was Love” is probably the most audacious song on the album, with paranoid and prescient lyrics (‘Men of affairs, women with power, satellites talking to clutter our lives’), sax from Courtney Pine and a recitation of Shakespeare’s Sonnet 94 during the coda. “So Sorry I Said” is played at a very un-PSB tempo of 70bpm with a breathy Liza vocal and a bit of programming help from C J Mackintosh. “Don’t Drop Bombs” is back to house tempo again with a spoken verse/sung chorus structure and a completely mad programmed cowbell percussion track. “Twist in My Sobriety” takes the Tanita Tikaram original, gives it hip-hop beats, a rap intro taken from “Liza With a Z” (Ebb and Kander again), creating a truly original take on a classic song (and, yes, Tanita loves it). “Rent” reverses the process of “Losing my Mind” by taking an uptempo PSB original and slowing it down to ballad speed while using a string arrangement by Angelo Badalamenti to create drama and pathos underneath a close-miked and perfectly-controlled vocal. The album’s final cover (also released as a single) is “Love Pains”, which was a hit for Yvonne Elliman ten years earlier and was also covered in 1989 by Viola Wills and the evergreen Hazell Dean. It’s a house stomper, which also received the the obligatory remix treatment from Steve “Silk” Hurley, and features some real guitar from British session player JJ Belle. The verse and pre-chorus feature Liza’s voice solo and upfront in the mix, while in the chorus she has to compete with Katie Kissoon, Carole Kenyon and Tessa Niles, wringing out every last bit of emotion. You even get a trucker’s gear change thrown in for good measure. “Tonight is Forever” feels like the second act of “Rent” with similar lyrical themes, and strings arranged and conducted by Anne Dudley sounding more lush and less overtly dramatic than Angelo Badalamenti’s work. Like “Rent”, this would be perfectly at home in a Sondheim show. The final track, “I Can’t Say Goodnight” is the joker in the pack; it’s the only song which relies mainly on traditional rock and pop instruments and sounds like an updated 60s American pop song with a breathy vocal and guitar and sax courtesy of JJ Belle and Courtney Pine again. Lyrically, it’s not a bad way to end an album. So, what it is about this album that really got under my skin? Well, it’s the only time that Liza Minnelli has really stepped out of the chanteuse comfort zone, and what a way to do it; forget that acoustic piano and complicated orchestral arrangements and let’s have full-on programmed beats and wall-to-wall Fairlights. You could be cynical and say that it was a marketing ploy to get even further into the gay market, but “Results” is too full of joy and the sound of musicians having fun and doing everything to excess to be a clinical exercise. It’s the sound of two great songwriters and arrangers giving a wonderful singer a contemporary sound and pushing their own boundaries a little at the same time. There may only be ten songs, but they’re all highly-polished little gems. The enigmatic, publicity-shy Sally Shapiro continues in the same musical vein as her two previous albums, the somewhat disappointing “My Guilty Pleasure” and her, considered by some to be classic, debut album 2006’s shimmering “Disco Romance”. Shapiro is in love with Italo disco and in particular the fragile, melancholic vocals of the genre but on this album other influences, some good and some not so good, start to come through. “Somewhere Else” starts and ends well; “I Dream With An Angel Tonight” is lush and soothing and “All My Life” sounds like fellow pop swede Annie (a very good thing) and has a spoken verse towards the end that has the same rhythm that Neil Tennant employs on “What Have I Done To Deserve This”. From here on in though, things start to become more of a challenge. Deep breath; “This City’s Local Italo Disco DJ Has A Crush On Me” unfortunately does not live up to its title. Did it ever really stand a chance? It’s a burbling, squelchy late 80s sounding piece of kitsch which would be fine if it had a more distinctive melody to fall back on. “What Can I Do” opens with a flute and whimsy like nothing I’ve heard this side of the early 1970s Scandinavian folk pop of Abba. I have a feeling that both of these tracks are an attempt, a heavy-handed one at that, at irony and a pastiche on the genres they seem to be aping and they feel jokey and are hard to take seriously; neither are very good songs. Saint Etienne are a band that can also flirt with sonic themes and periods in pop culture that have a bit of self-conscious wink to them but with much more favourable results and, essentially, a sincerity that makes you invest in them. This mid-tempo slump continues with “If It Doesn’t Rain”, the best of the bunch, recalling (and not just because of the wet weather theme) the superior “They Say It’s Gonna Rain” by 80s, Essex hi-energy queen, Hazell Dean. “Sundown” sounds like a Shakatak ballad which shouldn’t in any way be interpreted as a good thing and another reference here is the eighties ‘jazz-funk’ group, (a popular musical trend at the time, young people) The Rah Band and the completely delightful and eccentric “Clouds Across The Moon” but the magic of that track isn’t captured in the clutch of songs here. The final third of the album is much more successful at hitting its intended target. “Don’t Be Afraid” gets the sad, bitter-sweet mood down perfectly with its descending chord changes in the verse and it’s undulating, warm synths offsetting the heartbreak; it’s the best song here. “Lives Together” and “Architectured Love” are both sleek, pulsing Giorgio Moroder beauties with Shapiro swirling angelically above the machines and it’s in these closing tracks that “Somewhere Else” begins to match the pure melancholic and melodic sweetness of “Disco Romance”. Sally Shapiro is a niche artist and I’m surprised and very pleased that this album has actually been given a physical release; many independent artists like her are seeing their work just being released in digital format now, which is depressing. This is a good album and a real grower too, even the weaker mid-section has its moments, but it’s really when she reverts back to the original musical format of her debut album that you begin to appreciate Shapiro and similar artists continuing to express their vision with such dedication, however specialist and limited it may appear. 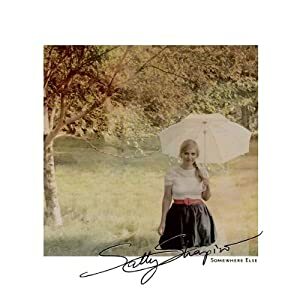 “Somewhere Else” may wear its influences on its sleeve but it also doesn’t sound like anything else I’ve reviewed in the last 18 months and for that reason alone Sally Shapiro and her third album should be commended.